I'm sure y'all are plenty tired of pictures from my vacation. 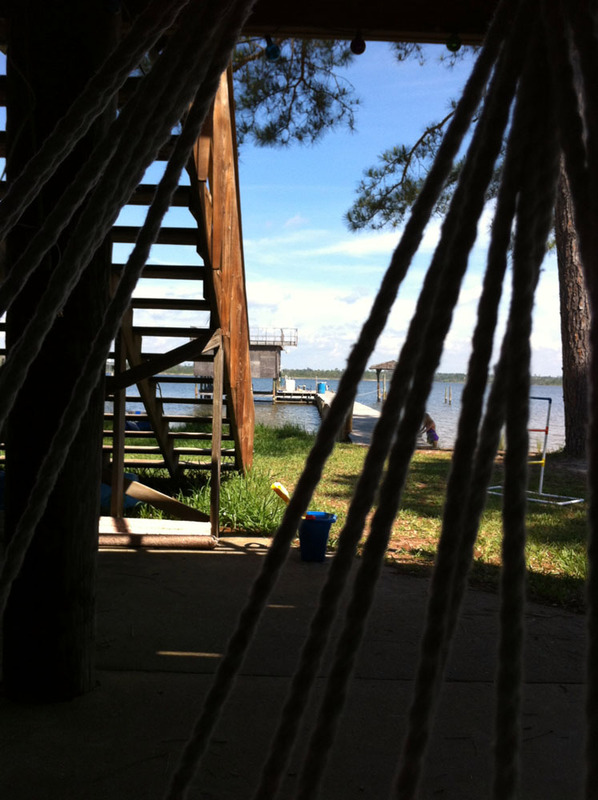 Here's just one more (for now) of what my view was most days there. ~ Before leaving for the week, I submitted my Hunger Games Necklace post to a few sites and the kind jewelry editor over at Craft Gossip actually featured it as Jewelry Inspired by The Hunger Games!! Woot! ~ While at the beach, I had some time to catch up on my blog reading (somewhat) and discovered that I had won the Art Bead Scene weekly giveaway of some Gaea beads. Hurray! ~ Jenna over at Honey Bijou named me as one of her March 2012 Hive Five. I'm on the list with some pretty impressive individuals and am blown away by this honor! Thanks so much Jenna!! ~ The Button Swap partner list has been announced and my partner is none other than the amazing Brenda Salzano of the Salzanos blog and Salzanos Etsy shop. Now to figure out what to send an awesome artist that she doesn't already have! Any ideas? ~ GIVEAWAY ALERT!! Davinia at Deez News is giving away some of the beads she picked up on her recent trip to Bali. Entering is as simple as leaving a comment on her blog! ~ Even though we're all still recovering from Sally's Colors of Spring Blog Hop, she's already announced another one; The One Color Crayon Challenge. She's only accepting 60 participants in this blog hop and sign ups are open until the 5th. Hop on board! ~ To top it all off, today's Menu Plan Monday! Here's my plan. 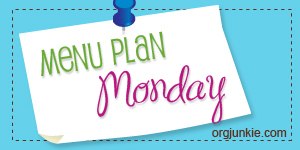 As always, there's more Menu Plan Monday at I'm an Organizing Junkie. ~Before leaving on vacation, I failed to mention these new earrings in the shop. Sorry to be all bullets, but I've got a ton of unpacking to do and you should smell these dirty clothes after being damp all week (the beach will ensure you stay damp all week, we're not nasty or anything.) So, I'm off for now. Here's hoping you are enjoying your Monday! 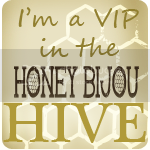 Thanks for mentioning Honey Bijou! We love the extra traffic. I'm so jealous of your vacation. I haven't had one in years. Jenna- You are VERY welcome!! I'm the one who should be thanking you. ;) It's a shame that you haven't had a vacation. We may take too many actually, but I think it's easier for us since we live so close to the coast. And it really wasn't a full-fledged vacation since the hubs and I both worked for the majority of it. But, it was sure nice being on the water all week! Best of luck! 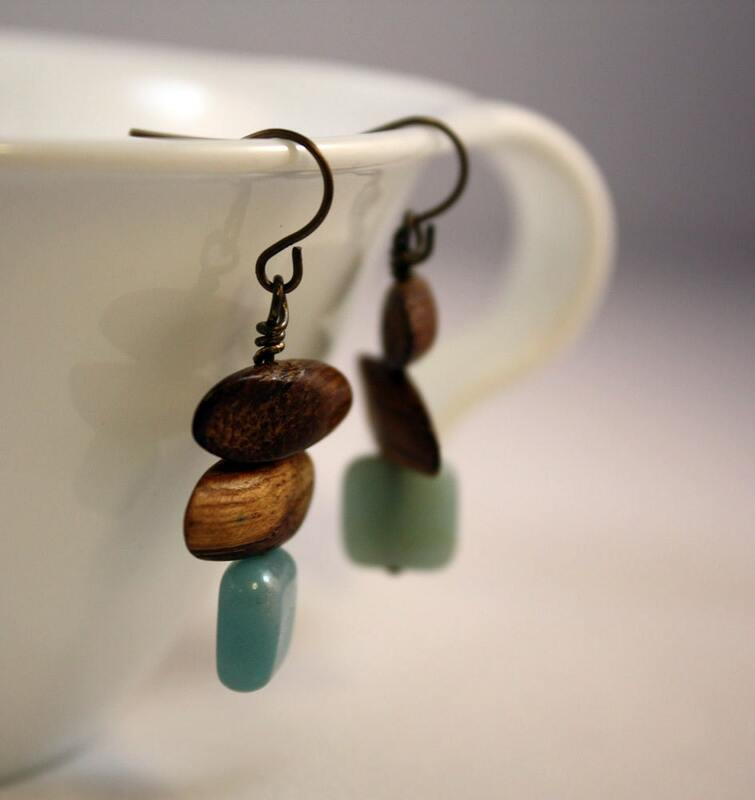 Love those beach weather earrings! Just got your buttons yesterday for the button hop and I LOVE LOVE them all, and so nicely packaged. Will be getting them in photos, and start my designing cap on this week. Thanks for the nice comments and links! Will email you as soon as I can with more info and links back. ;-) Totally stoked here!! THanks Hope!